I agree to Fresh Wheels Refrigeration collecting my details via this form and contacting me with offers. Mailchimp control this data and you can unsubscribe through them. Keeping your products fresh and cool for every occasion. Contact us to discuss your needs. 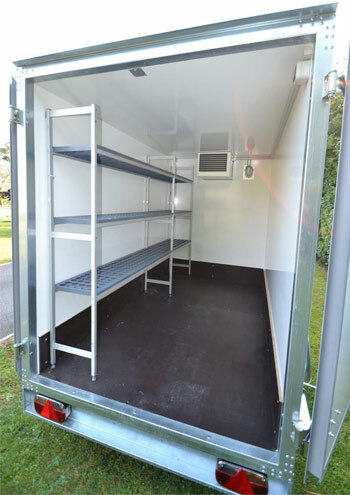 We have a range of trailers available and are always willing to ensure you get the right facilties for your needs. Free delivery within 35 miles of PE9 1PG, please call for a quote if distance is further. Insurance needs to be taken out during hire period.